A bird gets stuck in the snow in Winter and is freezing to death. A cow comes along and poops all over him, warming him up. Being saved from death he starts singing, which attracts a cat. The cat digs him out and eats him. So, “the magic” is… not all the poop you are in is bad and not everyone who digs you out is good. Mordant & McFall discuss being in the moment and finding the silver linings in moments allegedly gone wrong. This week on Success Freaks, Charles & Mordant “Up Periscope.” We discuss the concept of “Being in the Moment.” How do you train yourself (or a dragon) to be excited about life. In the Level Up section, we “Change our perception and change our reality!” And, in On Beyond: How to fix the Grumpy-Gus that is you. 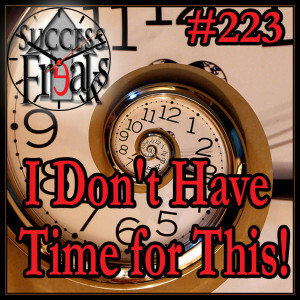 All this and more… on this episode of Success Freaks! The guys dip their toes into the sea of Periscope (live video via twitter). Mordant & McFall discuss the idea of Finding Magic in the Moment. Think of it as looking for the Silver Lining. It’s important to focus on the positive when plans go awry! The concept of being “In the Moment” is discussed. Mordant talks about taking a moment to appreciate things around you and making such a habit of thinking that way that it comes to you automatically. Charles talks about almost missing moments with family because of other responsibilities or things we could be doing, and his choice to focus on those moments. Charles’ Level Up: Change your perception and Change your reality! Mordant’s Level Up: Actively train yourself to find the positive or “the magic” in each moment of each day. Practice until it becomes natural to think of the magic FIRST. Being Grumpy. Do you have a “blood sugar” issue? Do you just live with it or do you have ways to solve the “grumpy problem”? The guys talk about how they go On Beyond by being very aware of their different negative situations and being prepared to solve or at least improve the situation. 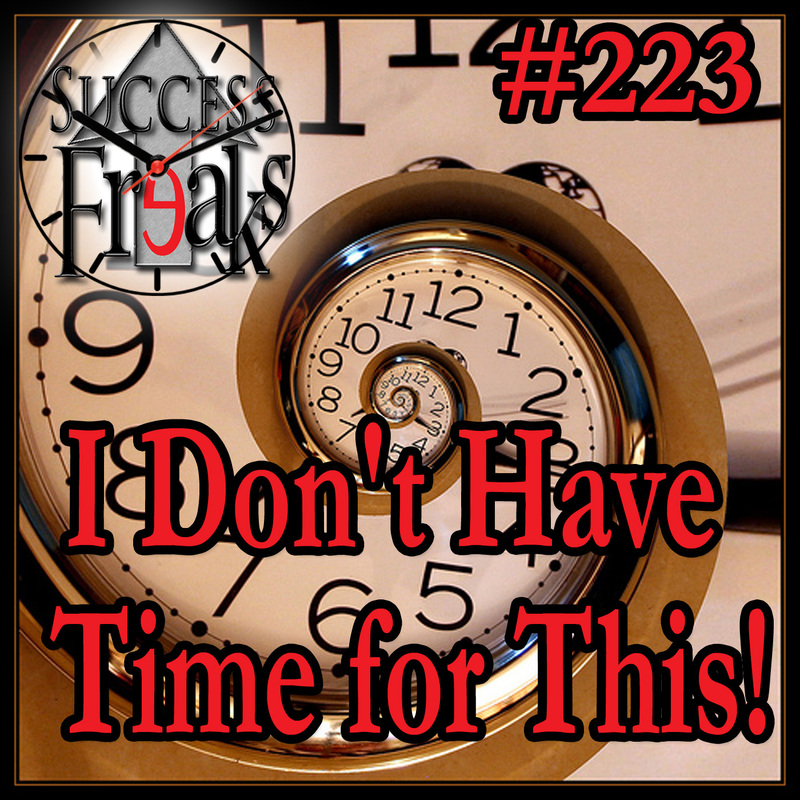 SF #212 – Wha’chu Waiting on, Willis!? Waiting on the next big thing to come around… or playing it safe since everything is good? Or, should you be chasing down your destiny? Mordant & McFall have new information and insight to bring to this age-old topic of when do you take action and when do you wait. Have you ever felt like you just laid down and let the world run you over? Have you ever been the person who runs everyone over? Are you a Demanding Diva!? Mordant & McFall share stories about finding the balance between getting what you want and feeling good about standing your ground. Mordant & McFall tackle the concept that you should treat everything you do in life as a business. Should you cut back when the going gets tough? Circle ’round and begin again just to feel the “buzz” of early success? Or, would it better to continue on, slogging it out through the trenches of difficulty at the heights of your uphill climb? 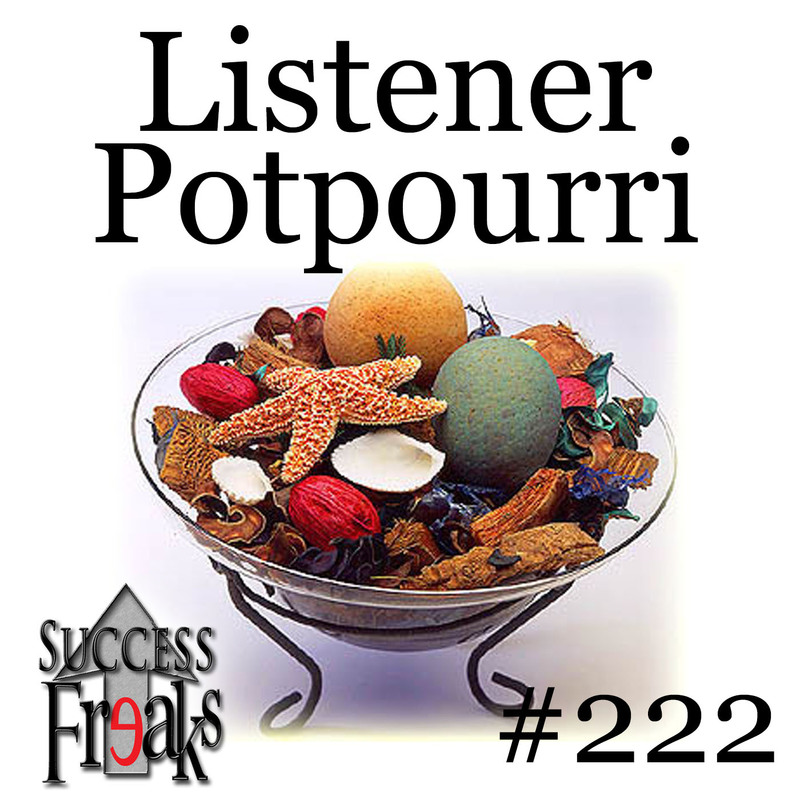 Welcome to the #1 “Run, Forrest, Run” Comedic Motivational Show…otherwise known as “Success Freaks.” This episode, Mordant & McFall tackle the frustrations of learning patience and perseverance while building your dream. In the light of the decisions made by the Supreme Court recently, the need for better communication has made itself readily apparent. Mordant & McFall discuss interactions they had as a result miscommunication about these decisions. They then chat about how to get the results you desire by communicating better. Things even get a little heated towards the end in the On Beyond section. In this episode, Mordant & McFall tackle what it’s like to be the Chaotic Karmic Catalyst and how it affects you and others around you. These big and difficult words for McFall to say lead into a deep discussion on why these people show up on our lives and what it means to live as one. The Success Freaks received this question from Listener Nada: “Can you talk about how the Ego may or may not fuel the fear we have of how we are perceived and rejection and ways these fears hold us back from opportunities. 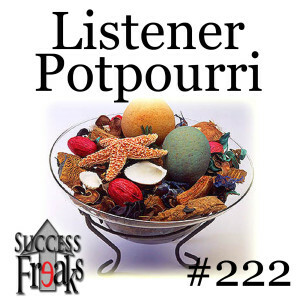 Also, methods to put our egos in check so that we don’t get in the way of ourselves.” Listen in as Mordant & McFall go in depth with both their answer and, of course, the humor as they edify and entertain their way into helping you be awesome!